Buying printer ink and cartridge toner can make some users cringe. Well, there is simply too many factors to consider. But did you know that hunting for the right toner or ink for you printer online can be a pleasant experience? 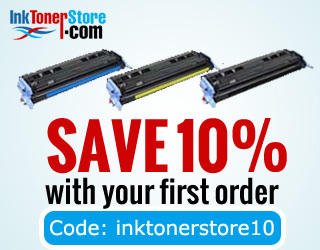 To get you started, here is a simple guide to buying printer ink and toner online. It’s poised to help even the most grounded fellow. Read on and you will thank us later. Sure you can garner a high-grade toner or ink for your printer. Sure you can get a good deal at that. But there is nothing as frustrating as opening a delivery box only to unleash an entirely different cartridge from the old one. You can keep these mistakes at bay by learning a teensy bit more about your printer. What are these errors? Surest way to determine the right kind of ink or toner cartridge required is to check out manufacturer’s part number. How to locate the number? Typically, it’s found in the user manual that came with the device. Most printer makers have convenient ways to find out a model or part number to garner the perfect ink or toner cartridge. Manufacturer’s own ink or toner cartridge are high-quality and typically costly. Here is the thing: many third-party manufacturers sell the same toner or ink for far less, with most of them sold online. Remanufactured cartridges are also a viable option. For print business, manufacturer’s cartridge deliver the best quality printouts and always recommended. For high-resolution color prints, you need to buy an appropriated color ink or toner cartridge. In effect, they come in a band of three colors: Cyan, Yellow, and Magenta (CMYK). If result image print has an off-green tint, Magenta cartridge needs replacement. Purple tint call for replacement of Yellow cartridge while an orange look implies that Cyan ink or toner cartridge is spent. Page yield provides an estimated number of pages you can efficiently print before the cartridge runs dry of ink or toner. Manufacturers put “high yield” or “low yield” labels on their cartridges. Typically, high yield cartridge are cost-effective. It’s somewhat laughable that some cartridges can boast a higher price tag than an actual printer. Toner or Ink cost between $10 and $300, with high-quality manufacturer’s cartridges being the most expensive. They do produce high-grade printouts, though.